good order and repair and fit for furth er working. less uIciborate seemed preferable. The meeting agreed. Article lo . 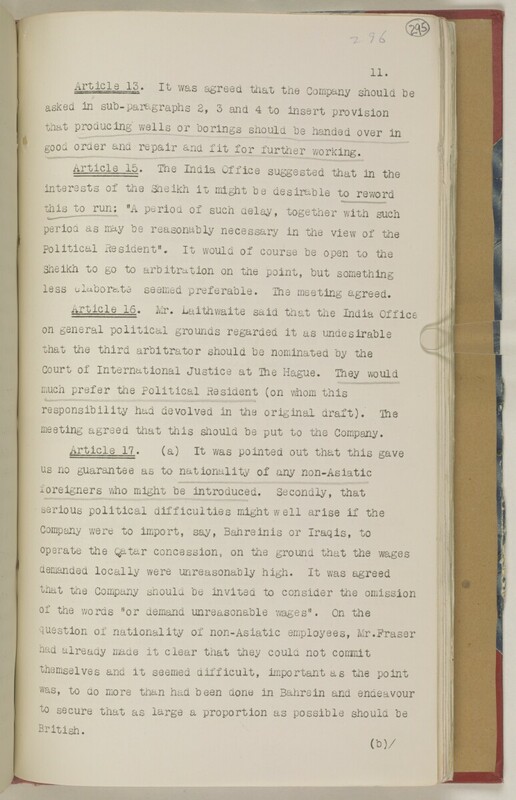 Mr. Laithwaite said that the India Office The department of the British Government to which the Government of India reported between 1858 and 1947. The successor to the Court of Directors. responsibility had devolved to the original draft). meeting agreed that this should be put to the Company.